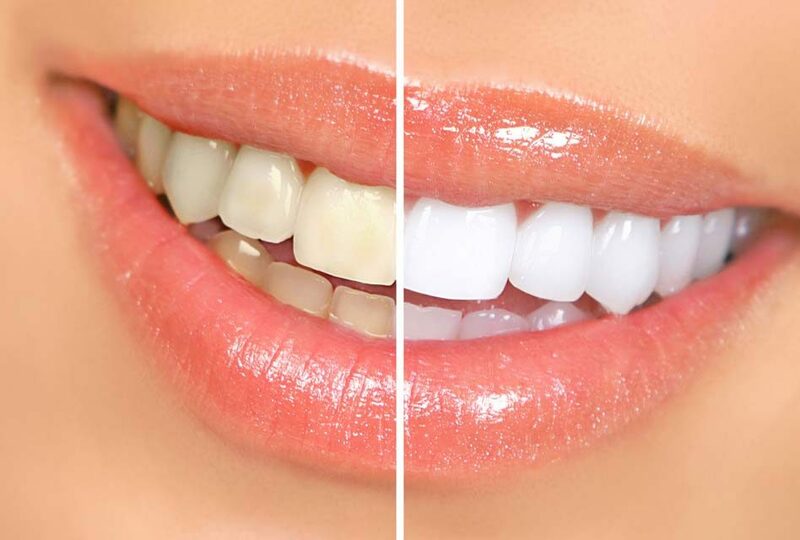 Tooth whitening is a safe procedure that lightens the colouration of the enamel and the dentin of teeth by using whitening solution which is carbamide peroxide or hydrogen peroxide. 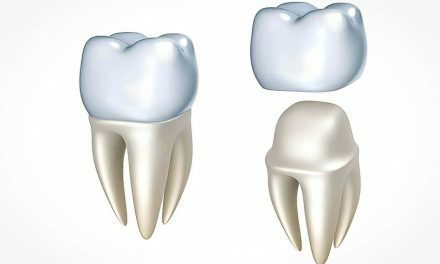 After prolonged contact with the tooth, the solution breaks away the pigments formed with the years. White teeth that make up a brilliant smile are a sign of beauty, health, and youth. Why do teeth darken with time? Teeth can be covered with plaque or tartar that change colour from the use of tobacco, coffee, tea, or red wine. By removing the tartar and polishing the teeth during a dental cleaning, these stains disappear. The stains can be lodged inside the enamel and the dentin of the teeth. This can be caused by a cavity, tobacco, certain medications taken at a young age like tetracycline, or too much consumption of fluoride. People less than 16 years old, because the pulp chamber is thicker, making teeth more sensitive during the whitening process. People who have sensitive teeth or gums, including sensitivity associated to gingival recessions or defective fillings. People who are allergic to peroxide. 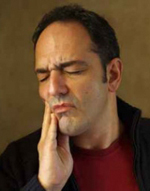 People suffering from gingivitis, periodontitis, or advanced cavities. Restorations (fillings), crowns, or veneers do not bleach with peroxide. They should be redone if there are differences in the whiteness at the end of the treatment. Yellowish teeth whiten better than grayish teeth. Smokers will have less satisfying results if they do not refrain from smoking. Smoking during the treatment increases cancer risks. The bleaching effect is not permanent; touch-ups should be done every six, twelve, or eighteen months depending on the use of tobacco, coffee, tea, and red wine. Extremely stained teeth, for example staining caused by tetracycline, may require up to six months of at home whitening, or many in office treatments. In these cases, if the teeth also have restorations, it might be best to put crowns or porcelain veneers to have a faster and better result. The degree of whitening can vary from one person to another. All the toothpastes slightly remove the stains from the tooth surface through light abrasion. 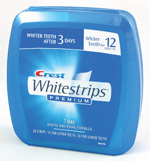 Certain whitening toothpastes have also chemical agents that allow removing more stains. However, none of them give results that are comparable to those of a tooth whitening done at the dentist. They can be purchased in pharmacies or major stores. These peroxide based gels are applied on the tooth surface with a small brush. Two applications a day are generally recommended, for 14 days. The first results are noticed after a few days, and they remain for about four months. The retail cost is approximately 20$ for a 14 day treatment. Also purchased in pharmacies, the strips are thin and covered with a peroxide based gel. They have to remain on the teeth for 30 minutes, twice a day, for 14 days. The first results are noticed after a few days, and they stay for about four months. The cost varies between 15$ and 70$ for a 14 day treatment. The strips and the gels contain a lower concentration of peroxide than the products used by the dentist. Although certain gels and strips provide good results, the degree of whitening is inferior to that obtained at the dentist. 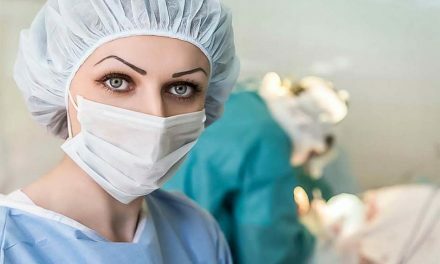 This technique uses individualized trays which are filled with peroxide based gels. 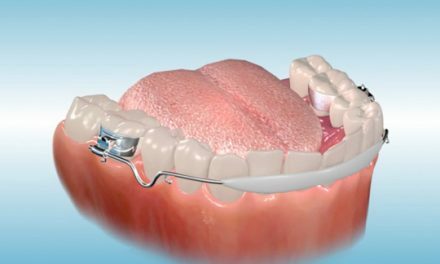 These trays are made from the impressions taken of the teeth allowing maximum contact with the teeth, and minimum contact with the gums. They should be worn for a few hours a day, or during the night, for a period of two weeks or more, depending on the degree of whitening desired. The cost varies between 300$ and 600$. 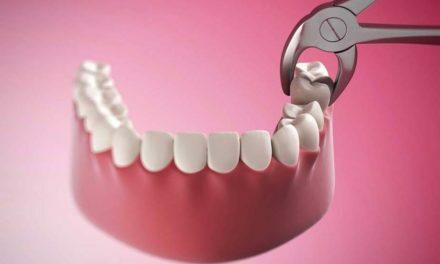 This treatment is not permanent and necessitates touch-ups every six or twelve months, depending on the degree of consumption of foods that stain the teeth. This technique allows bleaching the teeth in one appointment at the dentist. The procedure first involves the dental hygienist applying a protective gel on the gums, because it may be irritated by the peroxide. Afterwards, the bleaching agent is applied directly to the teeth, and the whitening is accelerated by heat or a light source. Since the concentration of peroxide is higher than the other techniques, the results are better. The cost varies between 500$ and 1,000$. Touch-ups should be done after six to twelve months because the treatment is not permanent. This kind of sensitivity is temporary and disappears within a few days. It can be reduced by either wearing the whitening trays for a shorter amount of time, by interrupting the whitening for a few days, or by applying a fluoride based gel on the teeth before bleaching. Another option is to brush teeth with a desensitizing toothpaste for a few weeks preceding the whitening treatment. Irritation of the gums is also temporary. It can be avoided by gently removing the excess bleaching gel on the gums with a cotton tip (Q-tip).